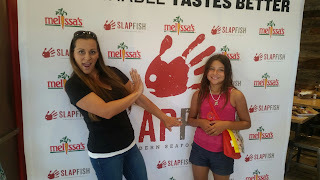 "It's so FRESH that it will slap you" - yup that is what I was told when I asked what the slogan was.. and I LOVE IT! The reason they are called SLAPFISH and a good reason at that. Opening up their 6th location, 5th here in the US, the food is so fresh and clean tasting that I could not stop tasting the eats they were bringing out. Sustainable Tastes Better - YES IT DOES! My daughter and I LOVE seafood and she dove right into the fish taco. "Mom, seriously what is this in the taco, it makes it so perfect". Yes! It's their slaw mix in their Ultimate Fish Taco that is the treat to an already tasty fish. Just perfect indeed. 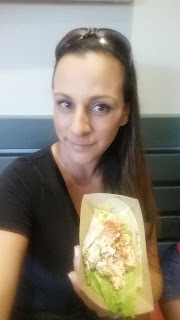 I totally enjoyed the LobsterRoll and to my surprise I fell in love with the no carb lettuce lobster roll that was so fresh can crisp, perfect for a summer day or for me, ON THE GO , maybe to the beach with the kids. Lobster Lettuce Roll.. Oh My GOSH! I also asked if there was call ahead, at first I thought why wouldn't there be... but then they said they had TO GO but no cal ahead. They explained that the catch is so fresh and meant to be eaten that way , sitting on the counter waiting to be picked up isn't the way to go but having you wait for your fresh meal to be fresh for you is the way to go ... you know, I couldn't agree more! Thank you! Everything we had a bite of was extremely flavored and in the best way. MY daughter was so excited to come back, I think she used the excuse that my husband just has to try it out, so that she could return asap. I know it! 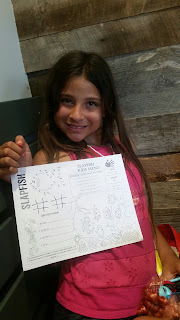 They also have kids meals and menu to keep them busy... love it! See you soon +Slapfish Restaurant - can not wait to return! Check out all the details on the Food Truck turned multi brick and mortal location here. 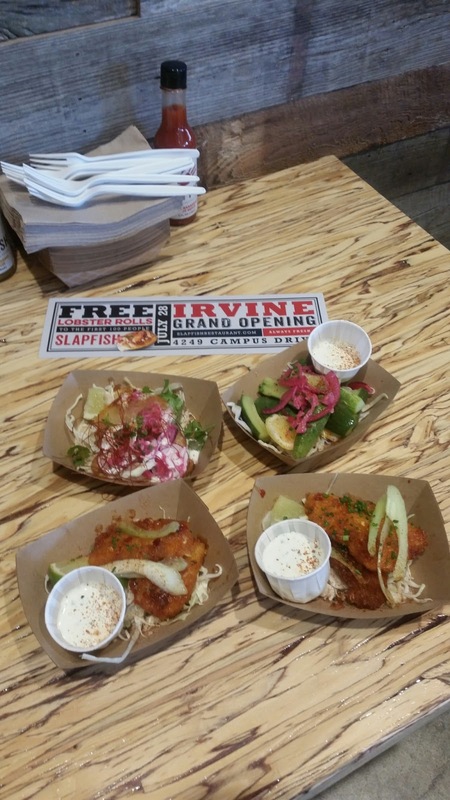 Also if you can get over to the Irvine location you have to taste the Anteater... after UCI's mascot this unique mini slider burger is fresh surf and turf, topped with a shrimp between two buns, amazing! 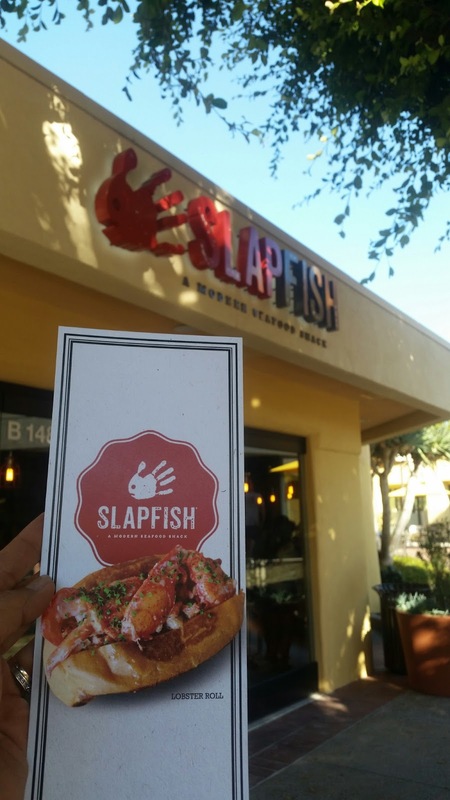 To help kick off your appetite for Slapfish - I will be giving away two cards for FREE Chowder Fries and Ultimate Fish Taco. All you have to do to enter is comment below here or on my facebook page - Who would you take to try these awesome eats?! Ill pick a winner randomly on Friday! 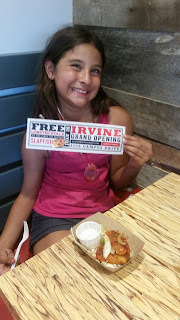 happy Grand Opening Irvine Slapfish! !